The Mintos marketplace now features consumer loans issued in Latvia by MoneyMetro. The company is fully owned by ExpressCredit Group, the leading consumer financial services chain in Latvia, which already places consumer loans issued under the Banknote brand on the Mintos marketplace. MoneyMetro loans placed on the Mintos marketplace will average EUR 400 and have a repayment term of 12 months. The annual net return to investors is expected to reach 11.5%. The loans will be supplemented with a buyback guarantee covering loans delinquent for more than 60 days. The obligations of MoneyMetro will be guaranteed by ExpressCredit Group. To retain its skin in the game, MoneyMetro will keep at least 5% of each loan on the Mintos marketplace on its balance sheet. MoneyMetro specializes in consumer loans, focusing on medium- to higher-income customers and their financial needs in various life situations. The brand was launched in late 2016 with branches in the centers of the three largest cities in Latvia. At the end of April 2017, MoneyMetro’s loan portfolio surpassed EUR 1 million. The company’s registered share capital is EUR 569 000. ExpressCredit was founded in 2009. 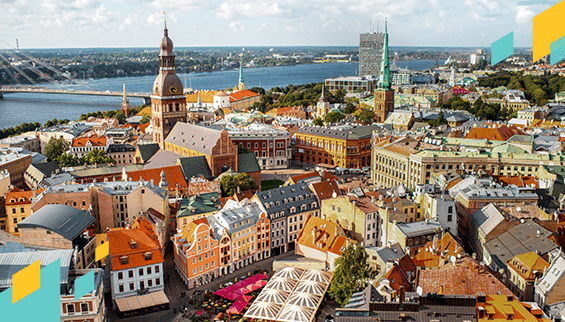 Operating under different brands, including Banknote and MoneyMetro, it has become a trusted partner for more than 300 000 people across Latvia. ExpressCredit is the second largest non-bank consumer loan originator in Latvia. The company offers personal loans, international bank transfers with Western Union, and secured loans using personal property as collateral (pawnbroking loans) in 91 branches across Latvia. Since 2015, ExpressCredit bonds have been included in the NASDAQ OMX Baltic Bond list and available for free trade. The company is also a member of the Alternative Financial Services Association of Latvia and the Pawnshop Association of Latvia. You can find other valuable insights about the group in this presentation. Banknote loans worth more than EUR 37 million have already been financed through the Mintos marketplace. “Following the successful funding of Banknote loans, we are glad to expand our partnership by adding MoneyMetro loans to the Mintos marketplace. MoneyMetro loans are a new product for higher-income bracket customers, and are built on the very stable foundation of our expertise in the Latvian personal loan market,” says Kristaps Bergmanis, board member of ExpressCredit. To obtain exposure to MoneyMetro loans, investors invest in loans issued by Mintos Finance to MoneyMetro, where repayments depend on the borrower’s payments. Each loan issued by Mintos Finance to MoneyMetro is pegged to a respective loan issued by MoneyMetro to the final borrower. Mintos Finance is a Mintos group company. A detailed description of the structure is available in the Mintos Finance loan agreement and assignment agreement. MoneyMetro is a related party to Mintos as per IAS24 definition. If you are using Auto Invest to put together your portfolio and wish to invest in new loans issued by MoneyMetro, make sure to add MoneyMetro to your loan originators’ list. Auto Invest saves time and never misses an opportunity!